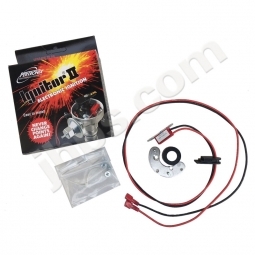 Sorry, we are currently sold out of 'Pertronix Distributor & Ignitor for Lotus 907 Engine'. Please check back later. I've stop selling these as the Pertronix distributors will leak oil through the shaft when installed on Jensen Healey and Lotus vehicles, which I think is not cool. Per the manufacurer, they are only designed to work in a vertical position. 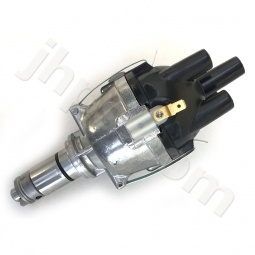 I recommend our JHPS, rebuilt, Lucas Jensen Healey distributor as a superior replacement which you can order with the Pertronix Ignitor installed if you prefer a point free ignition.